Peter Sands is a veteran local furniture maker who has been making fine furniture in Melbourne for more than 40 years. Wilkins and Kent are proud to offer one of his enduring designs for a single bed which Peter still makes in his Northcote factory. He is strongly influenced by Danish design principles and this can be seen in the sparse clean lines of his furniture. 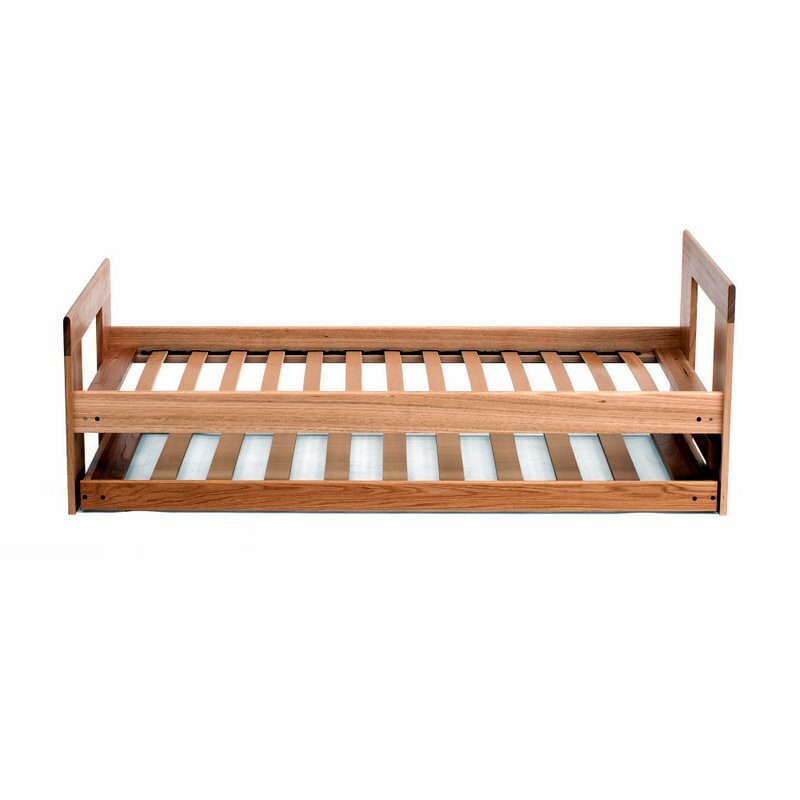 The “shorty” bed is all solid timber and made from specially selected Tasmanian white messmate. It is also available in American Oak and Blackwood (prices will vary with these timbers). The beds come flat packed and are easily assembled using high quality fittings. This bed is ideally suited to children’s rooms, spare rooms and holiday houses. There is also a handy trundle frame and mattress which fits neatly under these beds or others. Both bed and trundle can be supplied with a locally made mattress.